Daleys Fruit Tree has Plants for Sale to Kowanyama and can Mail Order them to you door. Click to Find out how much Freight Will Cost. 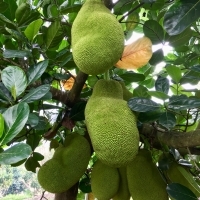 Large oval fruit to 30cm turning rich golden. Fruit can be cooked green like a marrow or ripened and eaten fresh. 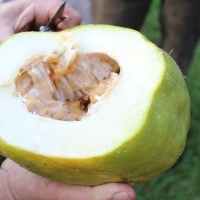 The pulp can be used with a dessert or made into sherbet. Hand-pollination aids fruit set. Cross pollinate with Sweet Lilikoi. Related to the Chinese Gooseberry it differs in fruit and hardiness. The fruit are generally green, fuzzless, and the size of grapes. 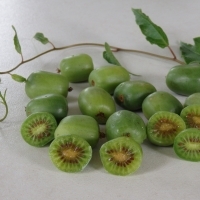 Cut open, they look much like regular kiwifruit with its small black seeds. Also known as the Hardy Kiwi. 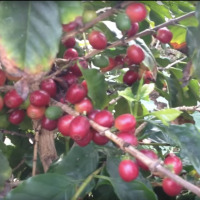 A dwarf coffee selection suitable for handpicking. Makes an ideal selection for growing in a pot as an ornamental. Prolific cropper of quality roasting beans.